This is a family run CG set up where the three rivers converge. We met folks there who have become camping buddies and truly had an amazing experience. Sites are good size, CG is well maintained and area is fun to explore. Be sure to visit the local grocery store where a fine looking snake carcass is displayed! Die Sanitäranlagen sind zwar nicht die besten, dafür aber alles andere. Direkt am Fluss gelegen mit allen Anschlüssen vor ort und in der Ferne sieht man schneebedeckte Berge. Der Eingang von dieser Seite ist fr für Camper über 24fuss zur Durchfahrt versperrt. Super Platz immer wieder. We decided to take advantage of the warmer weather in February and beat the crowds. The site recently changed ownership and things are getting updated. We were one of three RV’s camping this weekend. We pulled straight into our spot to find a rushing creek just over the hill. Full Hookups cost $78 for two days. We stayed 4 nights for $156 full hookup. The campground was basically empty at this time of year. Great location 8 miles from the park and very close to the cute town of 3 rivers, restaurants, markets,drugstore post office ect. The campground is beautiful right on the river the only complaint is the hookups are in the wrong spots so you face away from the river instead of towards it. Beautiful spots....well maintained and clean....friendly staff. We definitely will mark as a favorite!! Lots of potential here. New owners are working hard to make it better. Location is great. Features river front sites, but limited. Small beach area, sand volleyball, tether-ball, tubing launch / recovery on property. Utility hookups are placed at odd locations. Some sites should be pull-through but instead are buddy sites with two poles. Big rigs get the best sites by the river due to size. 50% of the area of the park is tent / no hookup. RVs could fit on many of those areas but seemingly aren't allowed even if accepting of no hookups. The best sites by the river are tent...pity. Nevertheless, great access to Sequoia and Kings Canyon NP. Nearby town has groceries, couple restaurants, hardware, gas. The exit from the road to the park entrance isn't the greatest...don't go fast. Signage at the road isn't updated as of 4/5/18...gotta look for the faded sign from the old campground name...Kaweah Park Resort. We arrived late and no reservation and the night security made a place available for our RV with full connections. Beautiful place and with the river in the background. 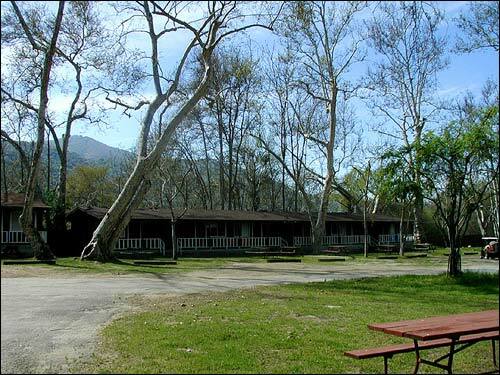 Formerly known as Kaweah Park Resort. 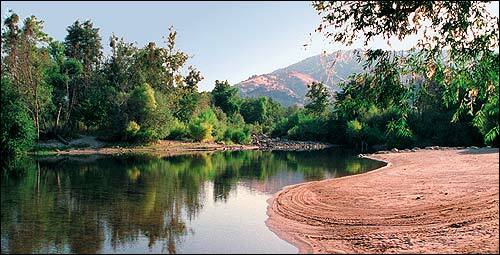 Located just 3 miles east of Lake Kaweah in the middle of the foothills of the Sequoia Mountains. 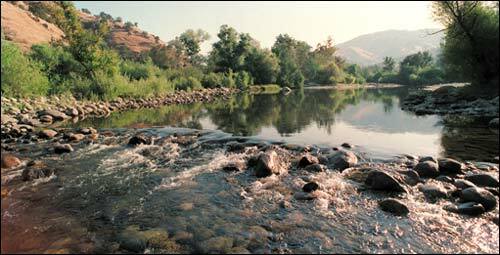 Our park is an ideal vacation spot to enjoy activities such as fishing, swimming, and hiking. We offer full hookups, tent camping along a river, pitch a tent in one of our spacious sites with fire pits, or for those less adventurous rent a cabin. 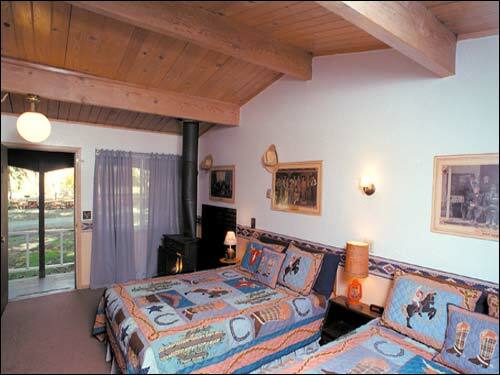 You will find many exciting things to do at Sequoia Campground.